I've struggled with the decision about buying a depreciated late model (like a modern 2010ish BMW 535i) with manual gearbox or buying an appreciating classic from yesteryear -- because the older car will possibly be worth more in a few years, but the modern car will be a faster and more reliable (probably?) ride? I'm sorta leaning towards getting the classic these days. 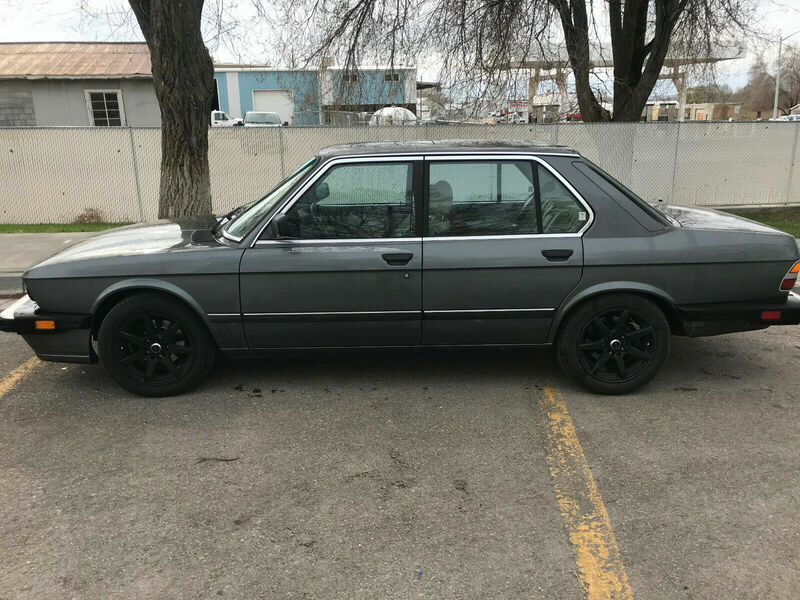 Find this 1986 BMW 535i here on eBay bidding for $4,500 with 5 days to go, located in Price, UT. Fixed...guy who typed it up was obviously you know.. a little 'under the weather' when he posted. He's awake now and we have his keys. We'll get him home safely, all because you were able to spot that. Thanks! You know, I had to wait 4(!) hours to see the ad. My sleuthing skills were exhausted when I searched UT Craigslist, but didn't find it there. For some reason I didn't think to check Ebay. Not that it would deter me, but the lack of info re. the functionality of the A/C always gives me pause, being a dweller in a hot place. Classic cars were my thing, for years. Same with kit cars from the 80s. Loved 'em. Then I became a dad. And crash safety meant my kid would more likely still have a dad if I got into a car crash. Changed how I bought cars. I still look at those classic and kit cars. I just don't drive em. I drove my first kid home from the hospital in a 1963 Ford Galaxie hardtop. In 1990 NYC traffic. Took about a block to realize that it was a bad idea. Got a hand me down Mercedes as quick as you can say "gee Mom, I really don't think the Galaxy is all that safe, there isn't any way to attach the car seat in the back and the front seats just flop forward every time you hit the brakes." My daughter was sort of interested in a TR3 I was fixing up and asked if was safe. I told her "probably not as safe as that Vespa you keep asking for" now she thinks I was trying to kill her. Of course when I was a kid my mom drove me around in a MG TD. Since I couldn't see sitting in the seat she would let me stand up. The thing about having kids is that in 20 years your life sort of gets back to normal, but by then normal is so damn weird. 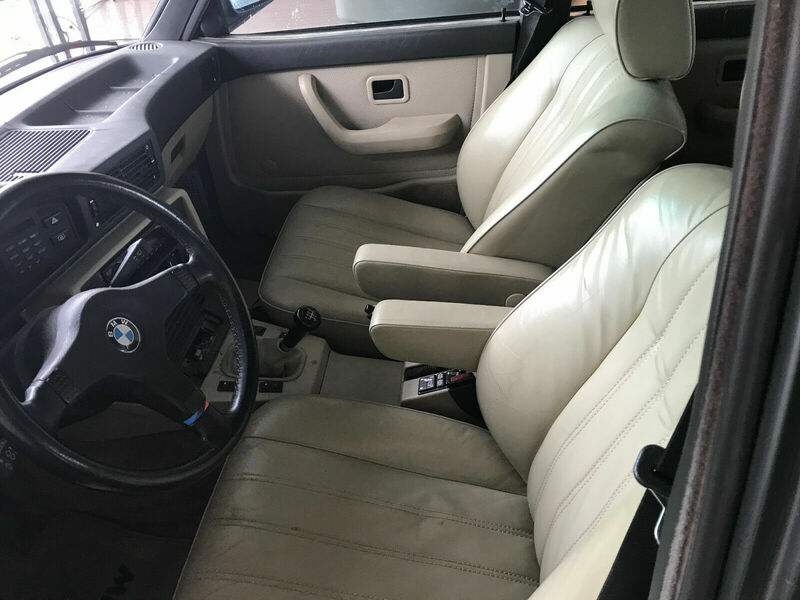 A 1986 BMW seems pretty new and safe to me. I inherently don't trust airbags. Takata Claymores not withstanding, the idea that a pyrotechnic detonation happens intentionally in front of my face just seems sort of wrong. Roll cages work, 6 point harnesses work, helmets and HANS devices work. Maybe we all need to drive land speed record cars, that have essentially two roll cages built into each other. Or go nuts, actually armor your vehicle. Buy a BMP. Or if that's not safe enough, you can have some real armor for the price of a well optioned 5 series. Personally, I think I'm going to spend more time riding my bicycle on off-street paths and I'll keep driving my E28s. Style 5s would unlock the next level for this car.